Hashcat and oclHashcat were merged into one program – hashcat. Information below is not actual and saved only for legacy support. 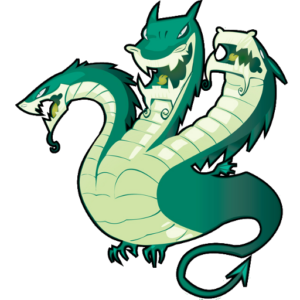 This GPU cracker is a fusioned version of oclHashcat-plus and oclHashcat-lite, both very well-known suites at that time, but now deprecated. There also existed a now very old oclHashcat GPU cracker that was replaced w/ plus and lite, which - as said - were then merged into oclHashcat 1.00 again. 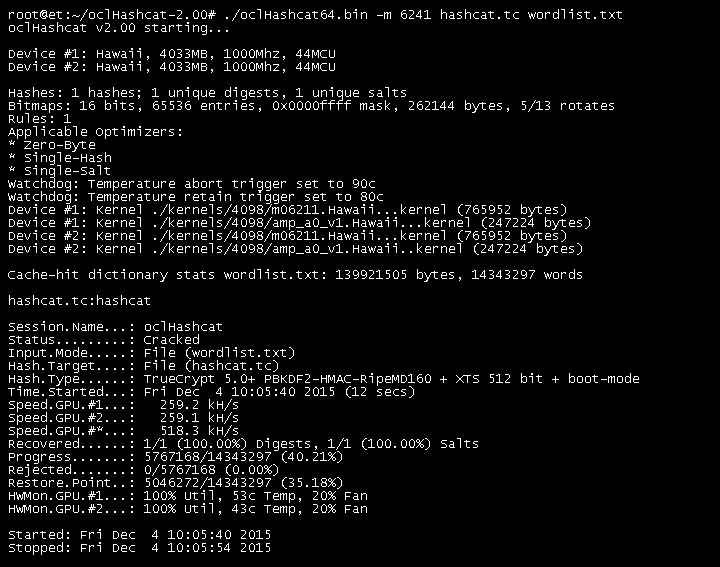 oclHashcat accepts the WPA/WPA2 hashes in it's own “hccap” file. Assuming you already captured a 4-way handshake using airodump-ng, Wireshark or tcpdump, the next step will be converting the .cap file to a format oclHashcat will understand. 1. Run it through “wpaclean”. Example working code for wpaclean. Please note that the wpaclean options are the wrong way round. <out.cap> <in.cap> instead of <in.cap> <out.cap> which may cause some confusion. Note the -J is a capitol J not lower case j. Grab some wordlist, like Rockyou. Put it into oclHashcat folder. Rename your converted capture file “capture.hccap”. This will pipe len8 digits only to oclHashcat, replace the ?d as needed.